Playing tennis is a fabulous full-body workout. It makes you sprint, stop, start, lunge, reach, crouch and jump. You have to move in all directions as you endeavor to hit that elusive yellow ball. So both your lower and your upper body are (literally) brought into play. Tennis is also an excellent cardio workout. Racing around the court increases your heart rate and your oxygen intake. But the sport has anaerobic benefits too. It’s an excellent way to build muscle strength, and tone up all those wobbly bits. As your muscles learn to use all that extra oxygen more efficiently, they perform better and fatigue more slowly. So you get faster, fitter, stronger and more agile. And all while enjoying the sunshine and fresh air. 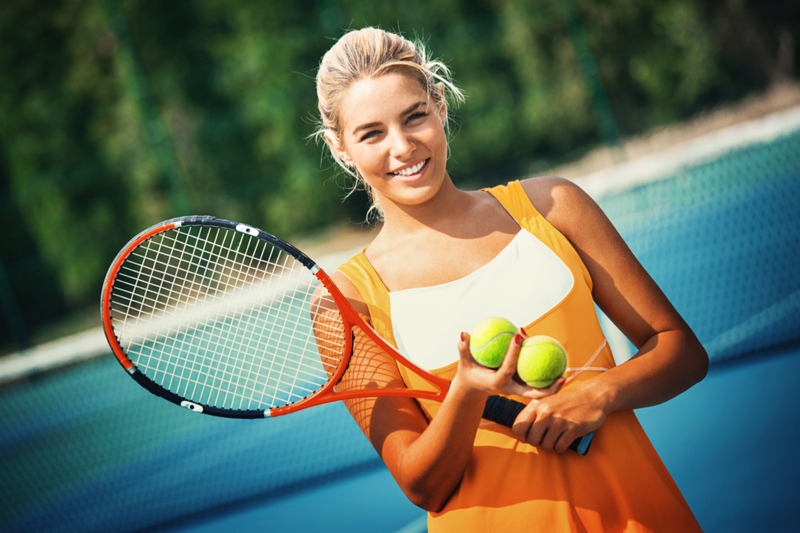 All that exercise has another welcome side-effect – playing tennis can help you to lose weight. Depending on your level, tennis can burn more calories than cycling, aerobics, dancing, weight lifting or golf. Some studies estimate that singles games can burn 400-600 an hour – that’s massive! Best of all, it can help keep you lean. 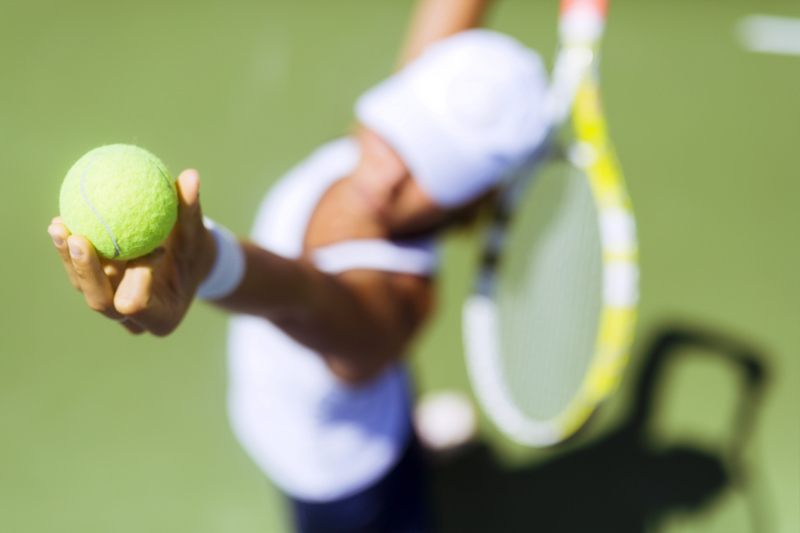 Playing tennis regularly can help keep your body fat under control. So can tuck into a post-match bowl of strawberries and cream without feeling guilty! Getting fitter and leaner has lots of obvious health benefits. Improve your cardiovascular health, and you’ll lower your risk of heart attack, heart disease and stroke. Losing those extra pounds can improve your blood pressure, and reduce your chances of developing type 2 diabetes. Importantly, as a weight-bearing exercise, tennis is an excellent way to strengthen your bones and stave off osteoporosis. Did you know that bone mass peaks at around age 30? After that it begins to decline, although suitable exercise can slow the rate of bone loss as we age. Tennis is an excellent way to strengthen bones, and enhance balance, flexibility and coordination into the bargain. It might not seem so obvious, but tennis offers plenty of mental health benefits too. Throughout the course of a match, your brain gets a vigorous workout. Think of all the strategy involved! In order to win, you need to stay alert, focused and on top of your tactical thinking. In other words, tennis trains your mind, as well as your body. Without getting too technical, the more you play, the stronger your relevant neural connections become. So exercise that involves thinking (such as tennis) can actually boost brain function. As with so many other sports, tennis also fosters discipline, social skills and a better sense of general well-being. Younger players learn how to win – and lose – graciously. 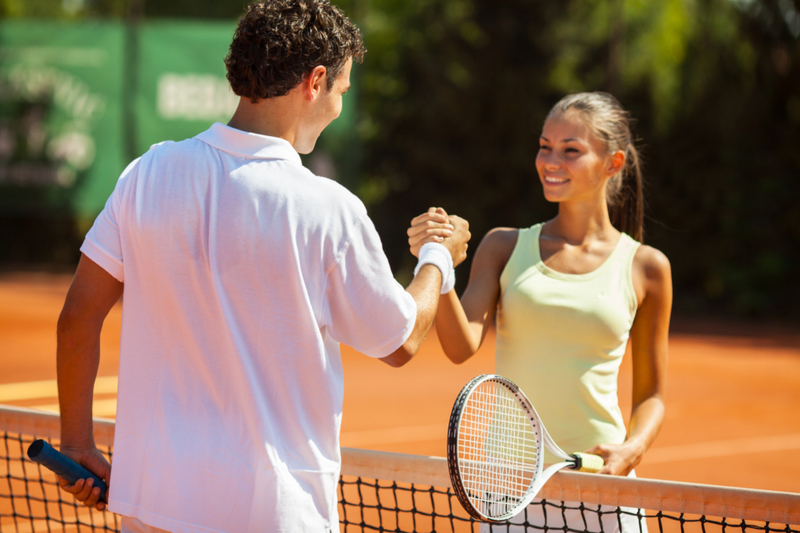 Becoming part of a tennis club or team helps to develop a sense of belonging and promotes socialization. Mastering that tricky serve or backhand slice can prompt an enormous sense of pride and personal achievement. And thumping a tennis ball hard after a difficult day is also a wonderful way to de-stress! Never underestimate the power of aesthetics. 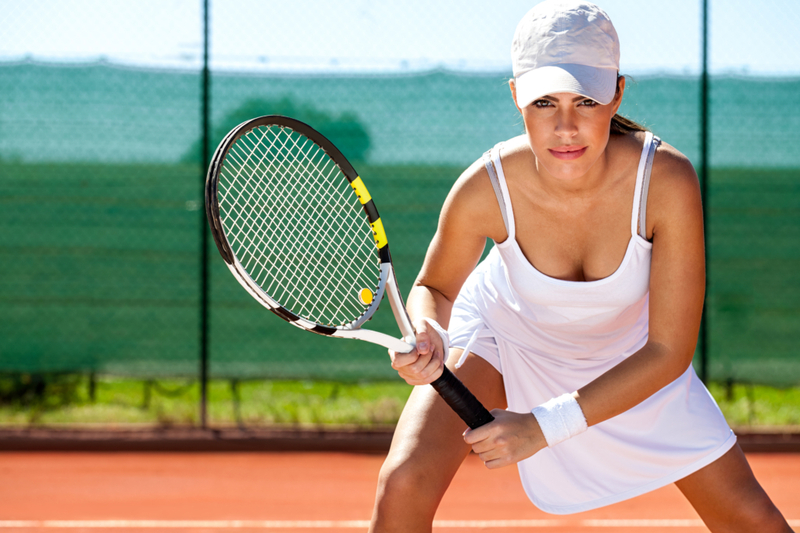 Tennis is such a stylish sport, and dressing the part can certainly help improve your mood. And if feeling good about your appearance enhances your performance, there’s every excuse to indulge in some retail therapy! Sweaty Betty has fully mastered the art of on- and off-court confidence with its collection of ladies tennis clothing. We’re huge fans of this Tournament Tennis Dress, priced at just £95. 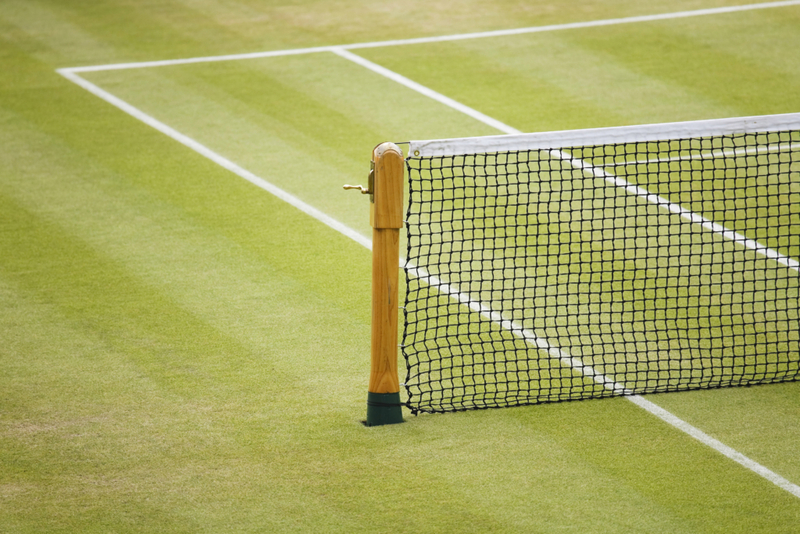 The Wimbledon dress code might be all-white, but outside the hallowed courts of SW19, a splash of colour is allowed. We’re very taken with the Gel-Solution Speed 3 tennis shoe from Asics, available in four different shades and priced from £78-130. You can check it out via the link. Last, but by no means least, you’ll need a decent tennis racket. There are thousands to choose from, so it can be difficult to know where to start. Good old John Lewis to the rescue! The Babolat Evoke 102, priced at just £39.99, is a sensible starter option for adult beginners. 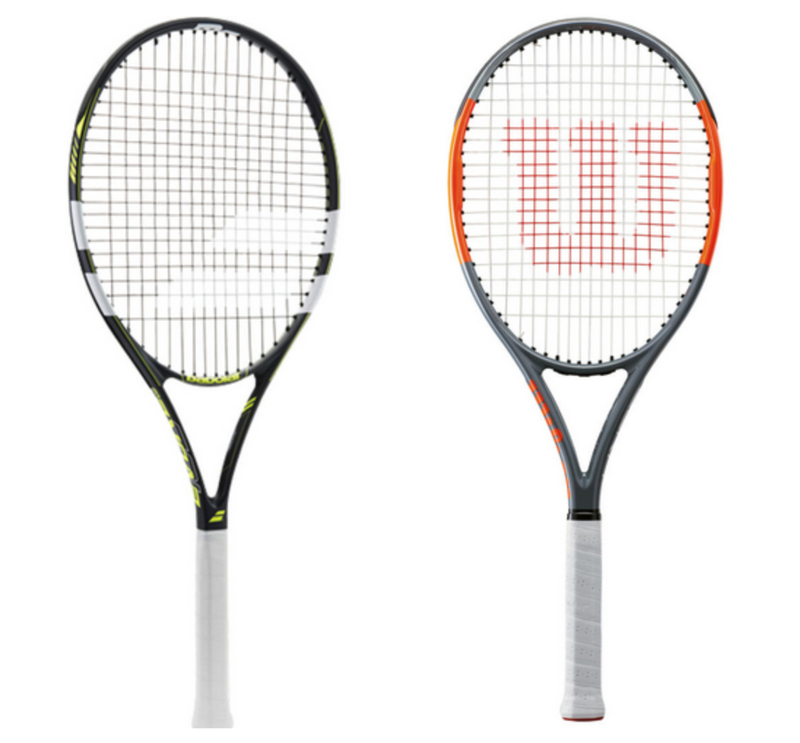 More advanced players should explore the Wilson Burn Team Racket, priced at £120. If you’re now raring to follow in the footsteps of Novak Djokovic, the LTA’s website is a great starting place. Or visit the BBC Sport website, which has lots of useful tennis links, and can help you find your nearest court. Get out there and smash it! If tennis is not your thing, why not read our blog posts on Discover the power of Pilates or The benefits of swimming?